One of the things I love about Forest Hills is the annual 4th of July Community Day. 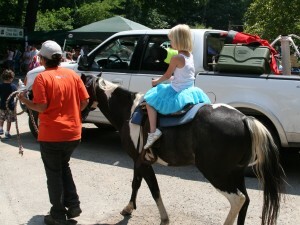 Since the 4th was on a Sunday this year, they moved the event to July 5th. So I loaded up the van and we met Scott’s parents at the park for a few hours. 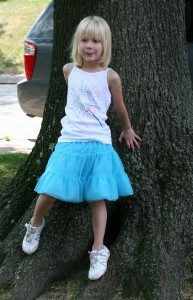 Juliana was quite the fashionisita in her full skirt. 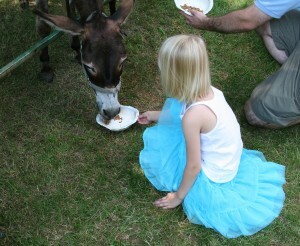 First stop was the petting zoo. The animals weren’t too interested in eating, I think it was a combination of the continuous food supply and the high temperature. Juliana got bored with this very quickly. 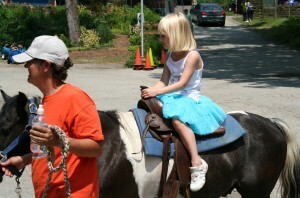 Part of the reason she was happy to move on – pony rides. 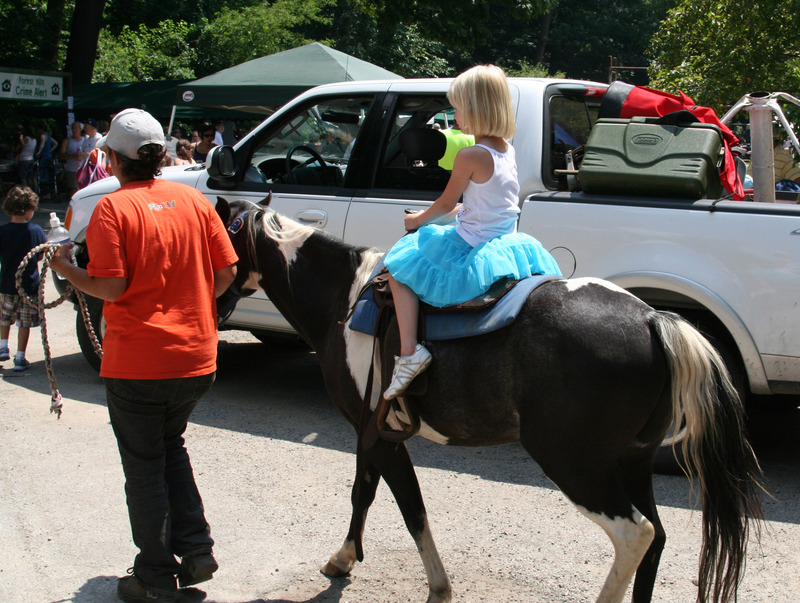 It was just a short lap in the parking lot of the park and she didn’t ask to ride again so I’m not sure if she really enjoyed it. 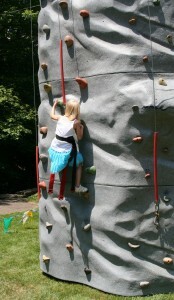 After a break for a snow cone she attempted the rock wall. 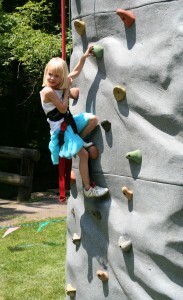 She didn’t climb very far before she just stopped. 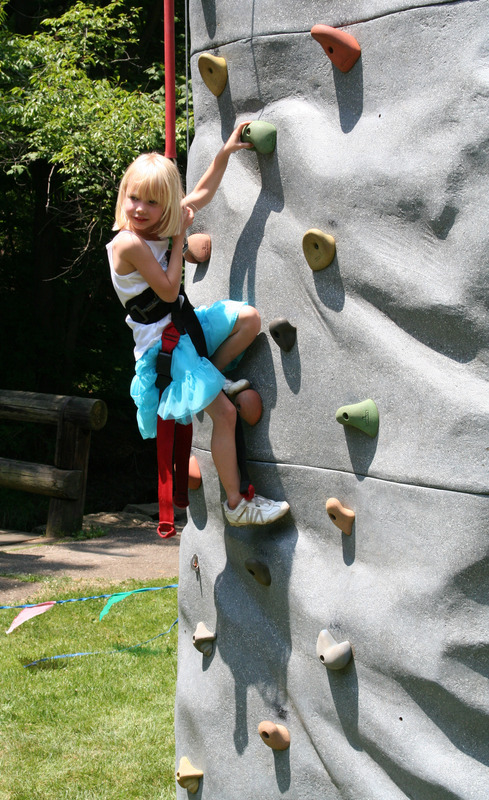 When we were looking at the pictures later she told me she stopped because she wasn’t sure what she was supposed to do – I guess I should have talked about it with her before she started climbing. But I love that she was eager to try something new without any convincing – lately she has been hesitant to try new things. 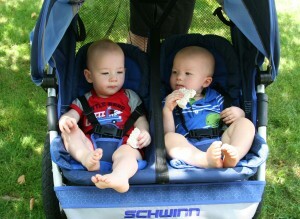 After playing at the playground for a while we headed back past the food area and purchased some snacks. The boys were very happy when she shared her brownie with them. 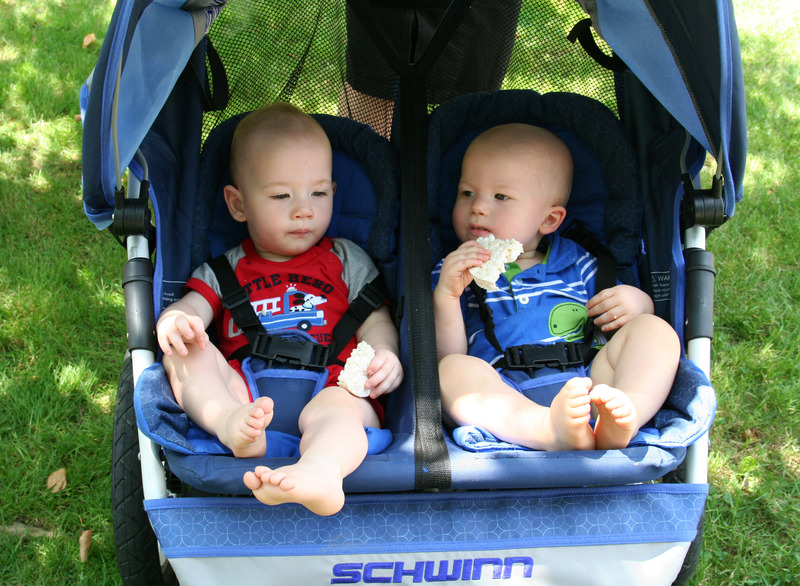 They spent the whole time in the stroller – it was much too hot to carry them and they stayed out of the sun. Papa did a good job finding shade to stand in, but even the shade was hot. The poor guys were very hot and sweaty when I got them out to go home. 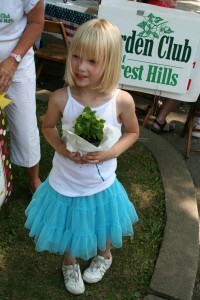 Juliana’s last activity was at the booth for the Forest Hills Garden Club. 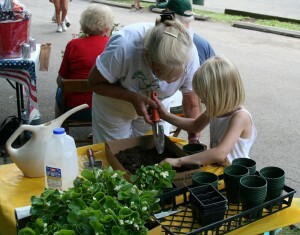 They had a table set-up for children to plant a flower to take home. I think that might have been Juliana’s favorite part of the day. We were all happy to get back inside to cool air, but I’m glad that we went. 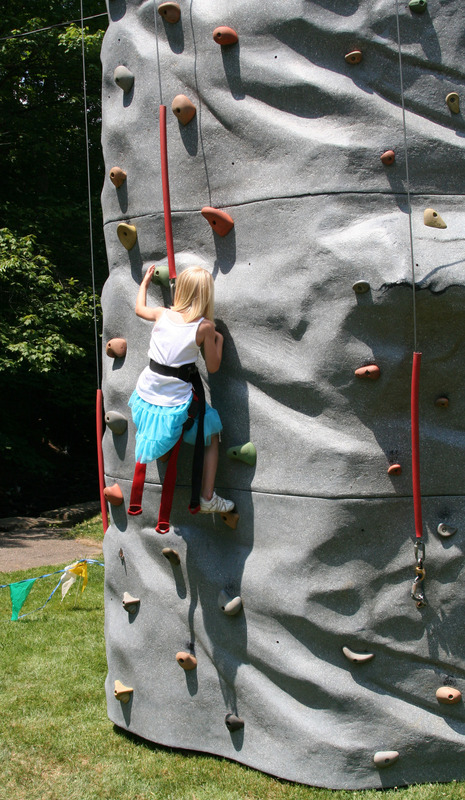 I would like the kids to grow-up with good memories of this annual community event. That’s awesome. Back in the day, the volunteer fire department used to have a big fair in the parking lot across from the lodge. My grandparents (whom, if I never told you, lived right across from there) used to take me. I think they stopped doing it back in 1988, but I still remember that fondly. Jen, the Forest Hills community days is one of my fondest memories of growing up! We went every year that we lived there! So glad to see that they are still doing that! :) Looks like the kids had fun! I’m pretty sure Juliana’s wardrobe is far superior to mine.